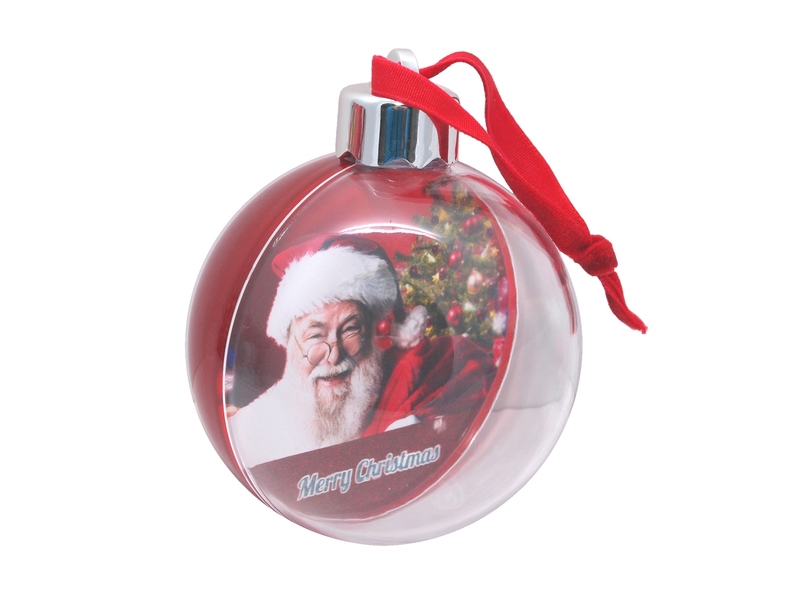 Quality bauble with metallic red back. 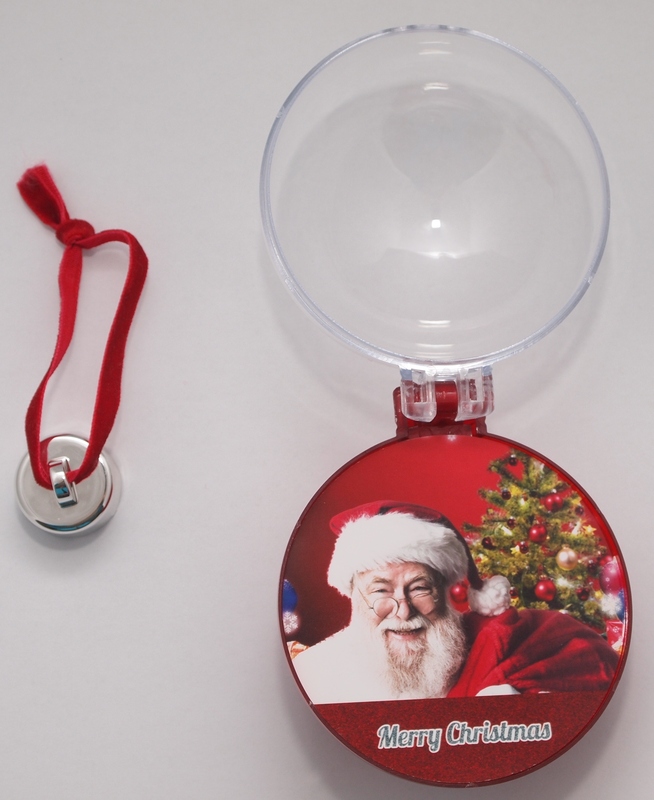 Hinged front and back make this bauble the easiest and fastest to assemble. Snap-on cap with velvet hanging ribbon. Hinged spigot for ease of photo mounting and reassembly. Packed individually in a bubble bag, 6 in a box, 6 boxes per outer carton.